Position bed for maximal respiratory efficiency. Initiate efforts to prevent respiratory, circulatory, and vascular disturbances. Encourage patient to increase activity gradually and plan rest with activity and mild exercise. Provide a nutritious, high-protein diet supplemented by B-complex vitamins and others, including A, C, and K and folic acid if there is no indication of impending coma. Provide small, frequent meals, consider patient preferences, and encourage patient to eat; provide protein supplements, if indicated. Avoid using irritating soap and adhesive tape. Use padded side rails if patient becomes agitated or restless. Orient to time, place, and procedures to minimize agitation. Instruct patient to ask for assistance to get out of bed. Provide safety measures to prevent injury or cuts. Apply pressure to venipuncture sites to minimize bleeding. 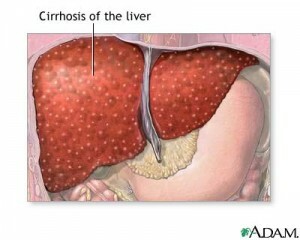 This entry was posted in Nursing Interventions and tagged cirrhosis, nursing interventions. Bookmark the permalink.